Ring’s way of protecting the home is extending beyond merely watching over the front and back of your home, adding inside and outside cameras, too. Security is important in everyone’s life, but it has different meanings. Personal security can mean a secure backpack and the feeling of safety as you walk, while internet security is all about protecting one’s identity and experience online. At home, security is about watching over the home and doing what you can to deter criminals from doing anything nefarious, something gadgets can help with. In the technology world, security systems are one way you can help keep ensure your home has something looking after your interests, though they come in various form factors. For Ring, that concept started in a doorbell that could record when visitors approach and when they pressed the doorbell. It’s a great concept, and one we’re beginning to see security makers jump on board with, though Ring is looking to expand into other areas. Last year, Ring jumped into flood light-equipped security cameras to help keep watch over the garage and back of the house, and this year, Ring’s new products will have the ability to watch over other parts of the home. This year, Ring is releasing its wired and battery based individual cameras, something it calls the “Stick Up Cam”, which is basically a camera on a small stand that can either be wired using Power over Ethernet or microUSB, while the wireless model is powered by a battery offering between six and twelve months of use. Both Ring Stick Up cameras are practically identical otherwise, offering 1080p Full HD video, night vision, motion detection, weather resistance with an IPX5 rating, and two-way communication, so that you can talk to someone you’re watching. Ring’s Stick Up cameras are also good for indoors and outdoors, and either can be used inside or out, making them ideal for watching rooms or parts of the front- or backyard. “Ring Stick Up Cams give neighbours maximum flexibility to position the cameras anywhere, regardless of power availability, to secure every corner of their property,” said Jamie Siminoff, Chief Inventor and Founder of Ring. “Every decision Ring makes is driven by our mission to reduce crime in neighbourhoods; it’s important to have multiple layers of home security, and the Stick Up Cam line offers affordable, easy-to-install security for both inside and outside of the home,” he said. Ring’s Stick Up cameras will add to the Ring line-up, though Australia hasn’t yet seen the security system version of the Ring that allows you to add sensors and a keypad to bring a security system outside of the app experience to a home. 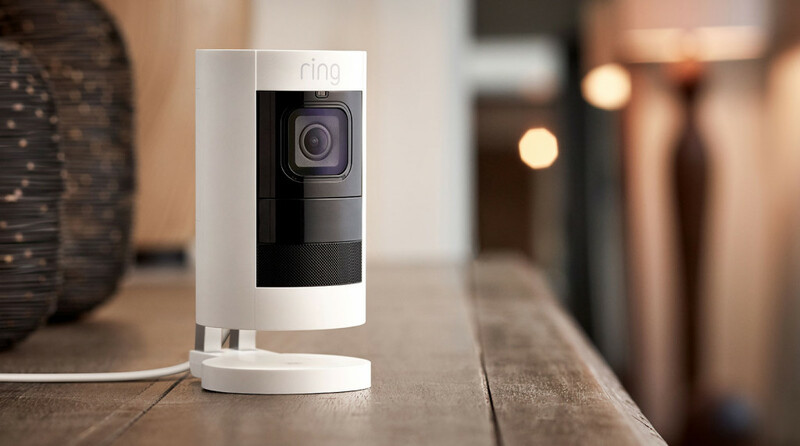 However, Ring’s current products including the doorbells and floodlight cameras will all work with the app, as well as the Stick Up cameras being introduced this month, both retailing for $319 at stores across Australia.